Just look at this Brazilian Monster. 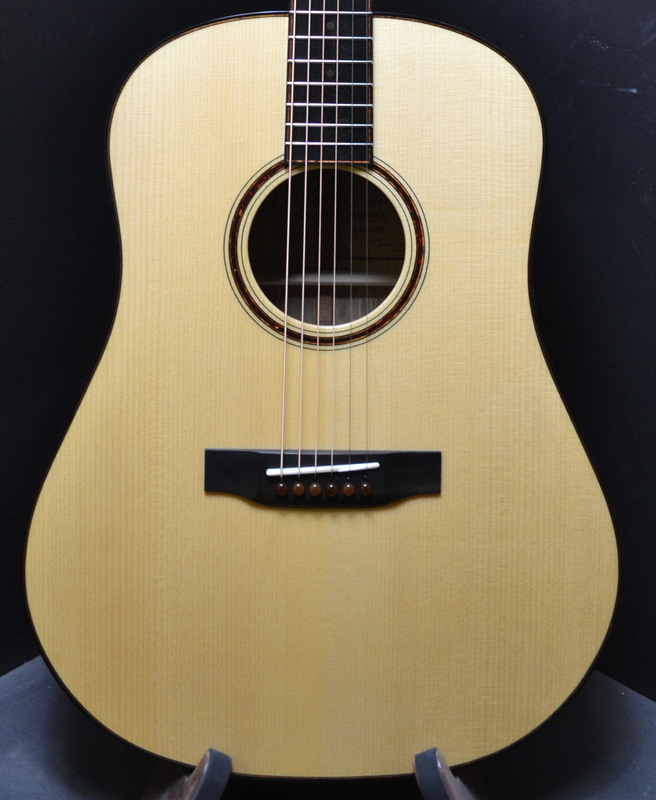 Great Selected Brazilian Rosewood, Individually sourced Adirondack Spruce, Hand Tuned Bracing. This is the quick background into my journey to create the Bedell Forte Dreadnought, a limited collection of 8 exceptional custom guitars. Each handcrafted with the love and attention to detail to make each one an individual masterpiece. But the story goes deeper. 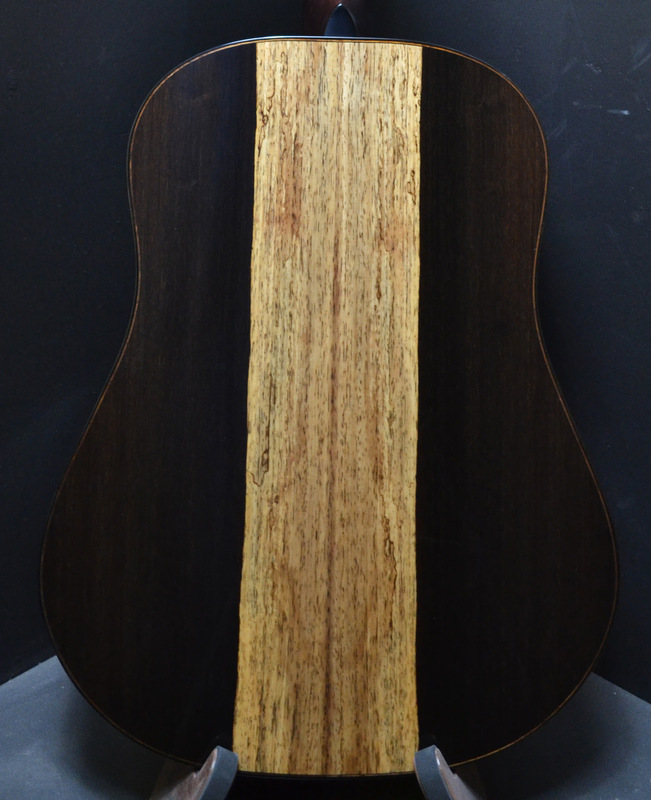 I want to share with you my journey to find the Brazilian Puerta d’Iglesia rosewood, the Adirondack spruce, the Genuine Honduran mahogany, and the African ebony that all work in harmony together in this stunning guitar. Brazilian Puerta d’Iglesia rosewood: In 2013 I traveled to Madrid, Spain to a tonewood supplier that had formally been a church/cathedral ornament company. Back in the 1950's and 60’s they imported Brazilian rosewood logs before it was outlawed in 1967. I was able to purchase their entire Brazilian inventory of tonewood sets including several stunning tonewood sets with an incredible figure and pronounced sapwood, named Puerta d’Iglesia. It was so named because of its beauty and preference for use in cathedral doors. It has full CITES documentation with permits, as such the guitars may tour the world. Adirondack spruce: The preferred spruce for power and loudness, Adirondack is a stiff and musical tonewood popular in dreadnoughts. We partner with Old Standard Wood for the selective harvest of old-age Adirondack trees from NE America. For the Forte we have hand selected our finest sets not just for their beauty, but their deflection and frequency to pair ideally with the Brazilian back and sides. Honduran mahogany: Traveling to the Mayan Biosphere in NE Guatemala we have partnered with a conservation concession that selectively harvests limited mahogany trees each year to ensure the sustainability and prosperity of this significant tropical rainforest. 85 families from the cooperative that benefit from the higher price we pay for tracking each tree from where it is harvested, through the local mill and shipped to us in Bend. African ebony: The Congo River Basin Rain Forest is second only to the Amazon in its mass and contributes to the health of our planet. I traveled to Ouesso, Republic of Congo, doing due diligence on CIB, the wood management company that is 100% FSC certified and follows a strict sustainability plan as well as protection zones for the gorillas, chimpanzees, and indigenous people who have claimed this rain forest as their home for centuries. We selected the finest eight sets of each of these woods to handcraft our most exquisite dreadnoughts. Each hand voiced for superior sound; handcrafted with extraordinary craftsmanship. With only one each available at eight exceptional Bedell dealers across America, you can experience the Forte starting April 1, 2019.